Save that sweaty selfie for post-workout. Showing up to your workout can be half the battle. The other half is knowing what to do when you get there. Otherwise, that precious time you’ve carved out of your schedule to exercise may be better spent elsewhere. The way experts look at it is that you want to maximize your efficiency at the gym. If you only have 20 minutes to work out, you may as well use those 20 minutes wisely. If you have a whole hour, use it. You don’t want to waste the time you could have spent sleeping in, playing with your kids, or enjoying happy hour. Look out for these common ways you may be wasting time during workouts. Just like you prepare for a day of work to ensure efficiency, you should do the same for your workout. “Aimlessly going from machine to machine without knowing what to do can really lead to pathetic workouts and very little time spent actually exercising,” says Roger E. Adams, Ph.D., Houston-based dietitian, nutritionist, and founder of eatrightfitness.com. An easy remedy is to plan your workout before you get to the gym. “Take a few minutes to decide what kind of workout you are doing: cardio, class, stretching, weights, HIIT, etc. Decide what you are going to do for that workout,” he says. “If you are doing weights, organize what body parts you are going to train, how you are going to train them (free weights, machines, etc. ), and how many sets and reps you are going to do.” This simple blueprint works wonders at designing and sticking to a better workout. If you keep your smartphone next to you at all times, including during your sweat session, you’re in good company—it’s necessary for Aaptiv workouts after all. But looking at your phone is an obvious way you’re probably wasting time during workouts. “Instead of focusing on your exercises, super-setting between lifts, or putting together an intense circuit training session, people are texting, checking email, talking, and taking selfies during sets, between exercises. They seldom seem to be actually working out,” Dr. Adams says. The only real way to avoid the temptation? Switch your phone to airplane mode. This way you are only listening to music or your Aaptiv workouts without the distraction of texts and emails. Taking a break now and then during your workout is important, especially when engaging in high-intensity strength or resistance training. However, you shouldn’t constantly be starting and stopping. 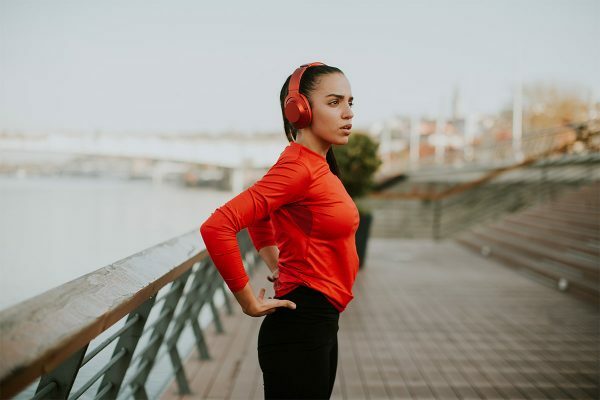 “Most of us don’t need more than a minute and a half to maintain mental focus while keeping our heart rate elevated because we do not push hard enough during working sets,” says James Shapiro, N.A.S.M., C.P.T., NYC-based independent trainer. “I can tell immediately who’s focused in a commercial gym about their results based on just this activity.” He suggests combining similar-working muscle groups together in a circuit. This way you can get the most bang for your buck during gym time. “In a larger gym, you can waste quite a bit of time if you are super-setting exercises that are not in the same area of the gym,” Dr. Adams explains. “This quickly leads to distractions, loss of equipment (someone else gets on what you were doing), and lackluster workouts.” This is why coming with a plan can help you stop wasting time during workouts. Make sure it allows you to maximize your efforts in the gym without taking all day. 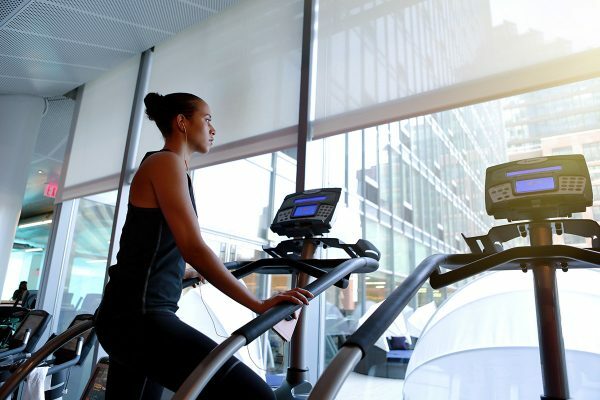 If cardio is all you know, you’re probably addicted to the rush of endorphins you get after a run, a sprint, a dance class, or time on the elliptical or stair climber. But, though cardio is great for you, it’s not the only type of workout you should be doing. 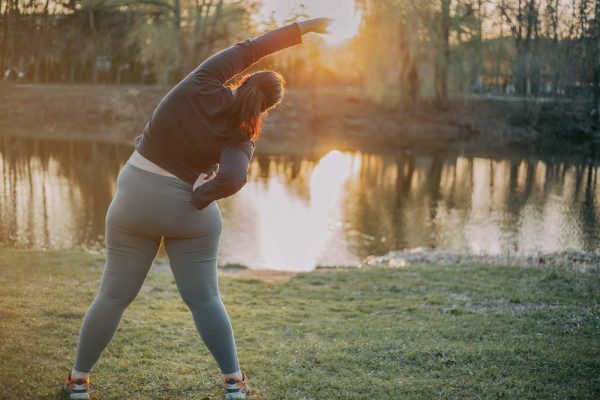 “Once you pass a certain threshold, your body starts to utilize oxygen as an energy resource instead of stored fats or energy, which should be your primary focus,” Shapiro explains. If you must do cardio, he recommends, at the very least, balancing out cardio with cross-training. “Every five minutes or so, get off the cardio machine of your choice and perform bodyweight movements or core exercises so that some resistance can interstate into your workout,” he says. A stair climber could be the secret to burning major calories during your workout. We're demystifying this common gym machine. Exercise is not out of the question with a hernia, learn how to keep moving. Aaptiv trainer Meghan Takacs takes you behind the scenes of how she programs her classes.